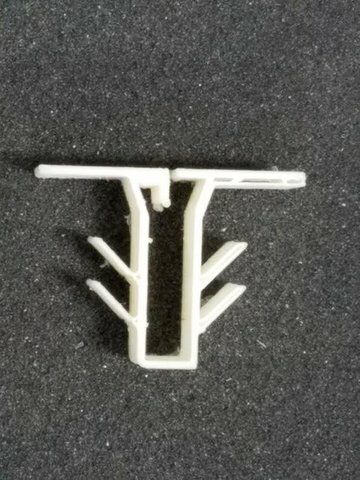 I have two UMO+ printers the only set to print a model using .4mm nozzle. 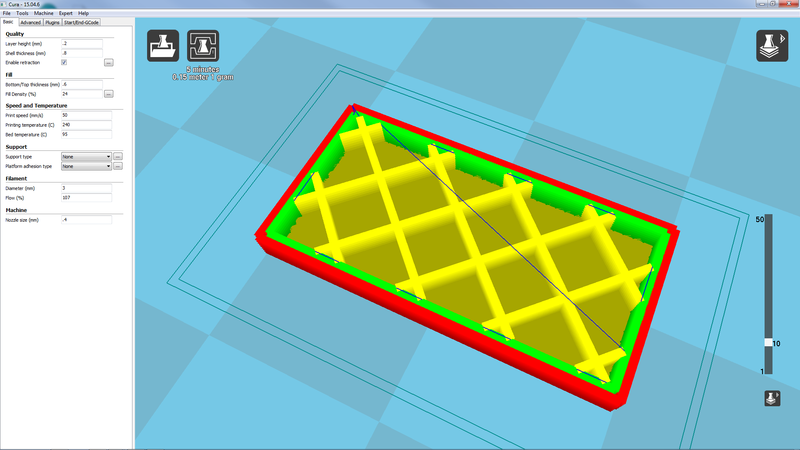 The model I am printing is symmetrical meaning the geometry is the same and multiples of .4mm. After checking every nut, bolt, and set screw leveling the bed and even checking and adjusting the feed rate as well as the feeder. I was still unable to accurately pin point the culprit of this print flaw. Standing in the front and facing the printer, looking down at the print bed. 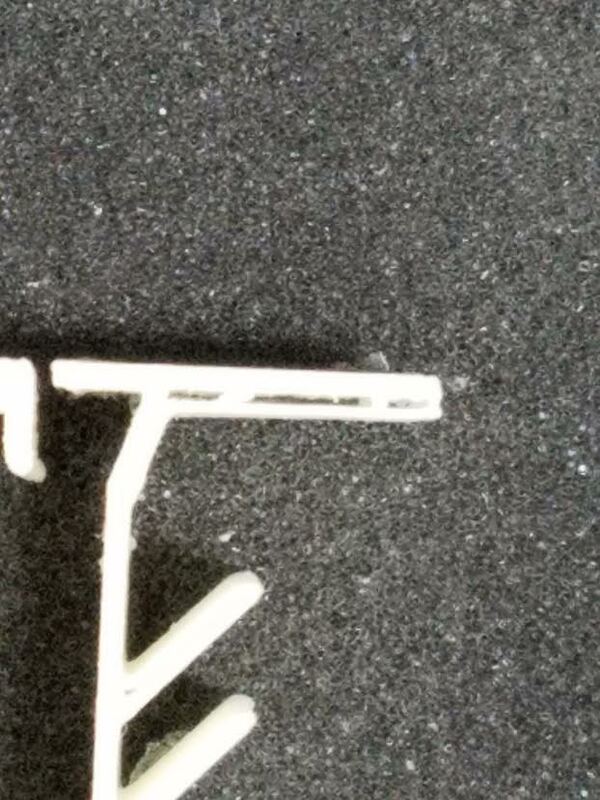 Parts of the right side moving at a 45 degree angle at 0.8mm requiring fill has a gap, the left is as is should be. The top horizontal section or "T" portion the right side shows a slight gap on the lower half and slight lager that it should be. However, the left side in only 1/3 the designed thickness. Always look at your part in slice view before printing. I think these issues are all visible in slice view. Even if the part is 100% symmetrical I think that floating point errors make things come out slightly different. Changing the shell width to a multiple of .35 instead of .4 may help things here. Such as shell width=.7mm. I tried fooling Cura by scaling down the nozzle size, No change. Also turning up the heat and lowering the speed, Zero change. In addition to that I even made the small belts so tight one would think they would snap under the tension, Nothing. Then, I increased the flow rate to 130%, Zilch. Moreover, I changed the nozzle to a larger size and combined with all the above listed changes, still a goose egg. One side is still clearly thinner and the other has a huge gap. Next I'll re-calibrate the axes and end stops to see if they might have jumped a notch or something? If you have any ideas that could shed light on this I am open to suggestions. Did you ever look at slice view in cura? If it looks bad in slice view then changing flow rate isn't going to make a difference. Also changing nozzle size isn't likely to do anything unless you change shell size also to be a multiple of nozzle size. Again, did you look in slice view? Don't waste your time printing when you can check it in slice view in a few seconds. If the belts are too tight you can get backlash due to friction. But lets not worry about that yet - get the model looking perfect in slice view before working on hardware issues like belts. Hi. Did you scale the design down by any chance? That can impact the wall thickness to a point where the layer is too small, so the printer will skip it. Have you tried scaling the object to a bigger size to see if it still does the same? I have had similar problems before and it was purely because the details on certain sections were just too small. Sorry for the delay in my reply I have been extremely busy and I am just now getting free. I do love a good challenge and these printers really provide that for me. Just so that you I didn't do anything crazy it's a tad more methodical. I do like knowing as much as I can about whatever, short of being a smart alec know it all. 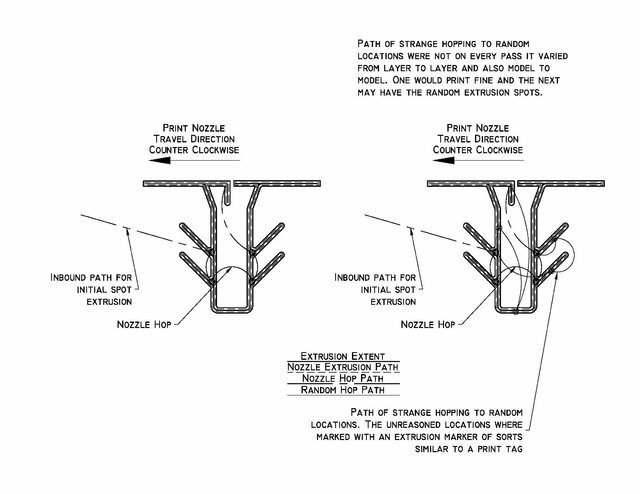 To begin with the model is setup based on multiples of the nozzle opening. Yes. Myrightfoot I make the entire model the same thickness with no fill. One printer would do it and the other was having no part of it. Change or no change. Yes. gr5 I did, look at the layers and I did it layer by layer. I even used an independent gcode plotter just to cross check the code. I noticed CURA had some crazy points that made no since. Not wondering to far from the original slicer settings, this is what I did and the result of that change. When I turned up the heat and lowering the speed only made a huge molten mess. Also tightened the timing drive belts and the driven belts and ensuring freedom of movement. As well as checking the motors to ensure they weren't bound in any way. These had no effect. Changing the nozzle. It was a scheduled change I was only waiting on the part to come in. The setting as they were with a slight tweak to the hot end temp and the flow rate the print I was looking for is now produced and re-produced. 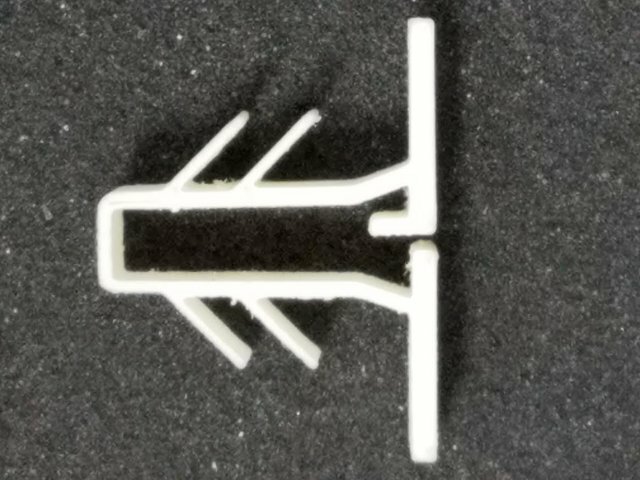 This same gcode model is currently printing on two printers and with some slight variation in settings I am able to archive the same results on both. If there are anymore suggestions or comments I would love to hear them maybe I could use them to build my knowledge and understanding. Thank you both for the help and advise I do really appreciate it. I do have one question: In the model, all of the fillets or radii are tangent and line spacing is setup so that no fill is required. When looking at the sliced layers and the nozzle movement. One can clearly see, noticeably unnecessary and random movements at different points and on varying layers through out the model. How can can one remove these movements? The movements are I presume in "blue" color? Those are just to go over to a new spot to start printing again. You don't want to print in the same area twice. The "unneccessary" is more complicated than you might think. You may have come up with a better algorithm for your specific part but coming up with a general algorithm is much trickier. The newer cura: 2.X.X has improved and reduced these movements. I'm very visual. Hearing about "unneccessary" movements is not descriptive enough - show my a layer view and circle or arrow the part you think is unneccessary if you think it's important. I doubt this is important. Okay so your post is really old and I type much faster than I can even read and I'm too lazy to ready your original post again but my understanding is this: your STL model is symmetrical and when you slice it it looks PERFECT in layer vewi, right? Is that what you are saying? It looks NOTHING like the final result in the photo above? Maybe to clarify you should show a photo of the part in cura in normal view, layer view, and then final part. 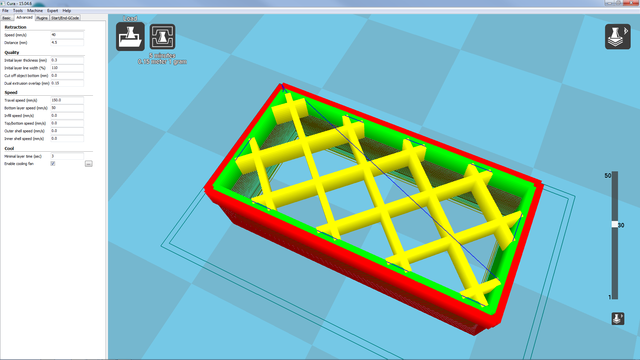 anyway back to your ORIGINAL question - lets assume cura is perfect and the model is perfect and the printer makes something VERY DIFFERENT from slice view (again I'm not sure I'm understanding you here - maybe it's bad in slice view also?). Then I'm going to guess you have massive "backlash" or "play". To prove it I'd like to see you slice a 1cmx1xcmx2cm long cuboid with 24% infill, .8mm shell, .4mm nozzle and photograph the top layer close up. 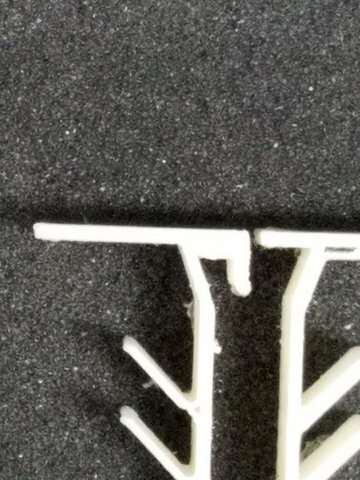 Please use a color as gray as possible (as far away from black or white filament) as that shows up the individual liens nicely. It's important that the top layer is a rectangle and not a square. The infill is kind of important too so that doesn't distract the possible backlash errors which are very apparent on a top layer. 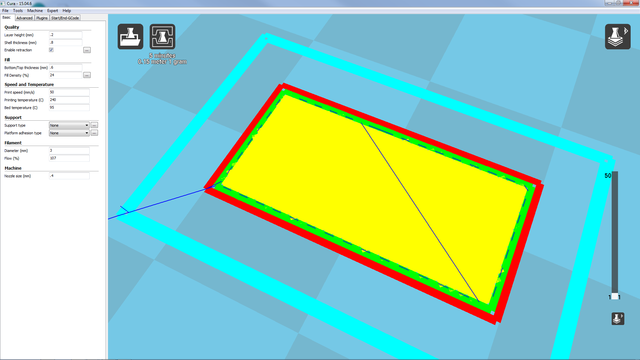 HOWEVER if your problem is that cura isn't slicing your model right (as I suspect is more likely) then I'd like to see a screen shot of (any one) area that's a problem in both layer view and normal view. gr5 I hooked up the little test block even captured screen shots. The only contrasting variations were on the top and bottom layers. These however are expected variations for model integrity and strength. Nothing strange or random about the slice. I will add that some time ago I made a change in CURA, hop or something I can't remember exactly. This change whatever it was, I recall it cutting an hour plus off the print time and the random extrusions were no more. Moreover, to clarify this issue with the print path or unnecessary movements are in blue and I don't have a screen shot of it as an example. I do know how to draw a little and the example I've illustrated is about as good as I can get without ISO-ing it up. Also thanks, your fine example you demonstrated of the gaping problem; you hit it right on the frustrating headache it is. The only thing I hated, is it took you thirty minutes to work out a drawing; next time if you need it, I'll hook you up. When the printer came online it printed nicely with some small tweaks and little error with only few nagging time consuming issues. As for the belts and the play in both the vertical drive timing belts at the motors and the X,Y horizontal driven timing belts. Below is how and nearly step by step how it was corrected. Reducing play at the motors is a matter of simple leverage and a medium sized flat head screwdriver presents itself to be perfectly suited for this task. Loosening the four (4) SS M3x25 bolts to allow the motor to slide freely in the mounting slots of the frame. 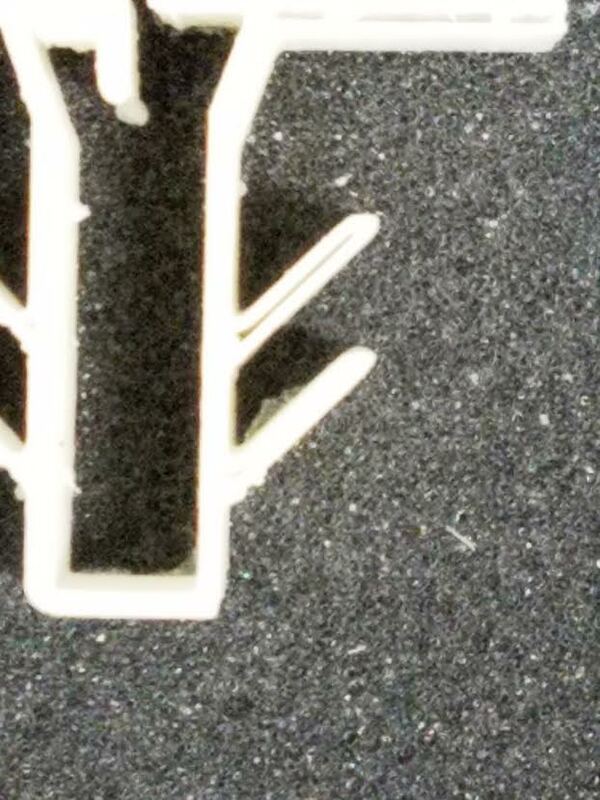 Placing the flat end thru the easement slot for the 5mm timing pulley, locate the Ø22mm body form on the motor. Decreasing play at the X,Y driven belts was effortless in comparison thru applied tension. There are several formulas and mechanical methods to achieve the correct tension on belts. There is beauty in simplicity. Located 180° out from the X,Y slide blocks, gathering the slack in a rubber band and measuring the total surplus length (not the sag length form horizontal belt). Then designed and printed belt tensioner with the mic'd belt measurements taken. Noting the confined space and the potential clearance issues. The tensioner designed, now applies tension and without binding the belt or belts, nor adding cumbersome weight. Thus allowing the axis to travel freely without flopping belts, interference, slippage and or jumping time as they can sometimes do. After making the above changes combined with a flow set 130% and turning up the temp to 250°c the gap spacing is almost nonexistent. Keeping the flow rate the same and setting the temp to 240°c the issue will indeed show its self. While these setting overrides do not fix the printing issue, there is a visibly noteworthy improvement in the print over the preceding prints. In closing I do appreciate all of your suggestions and I am still interested in, and working toward getting this printed gap fixed once and for all. Thank you. Nice drawing. I looked at your black and white drawing zoomed in and followed the path. Those extra spot fills - you can get rid of them probably by setting top/bottom fill to zero and also infill to zero. This will save you some time on your print of course. the print might be a bit weaker but hopefully almost as strong. It's kind of crazy that there were 12 days between when you posted the initial pictures and gave any hint of what the part is *supposed* to look like! The initial photos were really useless since I didn't know what you wanted. I wasn't sure if that top gap was supposed to be there (it is suposed to be there). So that threw me completely off and not until finally today do I realize THAT WASN'T THE PROBLEM! lol! That top gap was what I was concentrating on all this time. I guess instead of asking you to look at slice view in all of my posts I should have asked you to post what the part looks like in normal view.